Iris has worked in the Veterinary field, as a Veterinarian Technician, since the age of 16. She is a mother of two and married to a US Marine. Iris has always had a passion for helping animals specializing in fostering homeless pets. On her time off you may find her at the gym weight training or at an outdoor shooting range. Iris also enjoys camping and with her family and pets. One their favorite places to explore and visit a few times a year is Big Sur, CA. She is also active in Veteran Awareness and serves in her church military ministry as a leader. She also enjoys teaching people about proper nutrition and living a healthy life style. 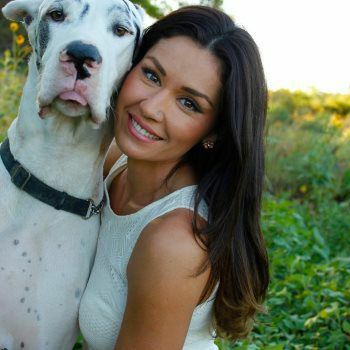 As you might guess, her favorite breed is the Great Dane. Her four legged family consist of a Great Dane named Rhino who she rescued 7 years ago (Rhino takes his role very serious as the family guardian), a 15 year old Shepard mixed named Sky (Sky still thinks shes a puppy and will jump into any body of water), a tiny Yorkie named Molly ( Molly gets to travel everywhere they go, she even has her own backpack that fits her 3.8lb body so daddy can take her on every hiking trip) and a bearded dragon named Taylor ( who is the loyal companion of an 8 year old little girl). Iris is also pursing a career in real estate in hopes of one day buying some property so she can rescue/foster more animals and adopt a horse. She enjoys educating pet owners on proper training and nutrition and looks forward to meeting you and your furry friend. Even at a young age, this Southern California girl would find injured birds, cats and dogs, and help them heal before releasing them back into the wild, or re-home them. While growing up, Rebecca had two dogs, three birds, an Iguana, and twenty rats! Becca started working in the veterinary field at the age of 19 as a receptionist, and was later asked to train to be a veterinary technician. It wasn’t her just her training that got Becca to where she is today, it was her passion and love of animals. Rebecca has three children. 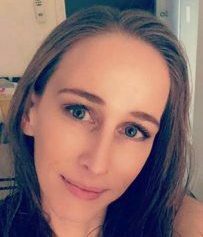 Mandi graduated from Platt College with a Degree in Veterinary Technology, and is looking to further pursue her career and sit for the boards in 2019 to receive her Registered Veterinary Technician license. All her life, she has always been drawn to animals. Never having a big family, she hopes to fill her home with lots of furry friends and a huge family of her own one day. When she is not busy with school work, Mandi loves to travel. On the weekends she’ll either be at the wineries or watching football, rooting for my favorite team! Hailey has always had a love for animals! This passion started at a young age from her background in horseback riding. She spent time throughout her middle and high school years volunteering at a local horse ranch caring for horses, goats and other barnyard animals. In her free time she enjoys trail riding around the Los Alamos Nature Preserve with her Paint Horse Brandi. 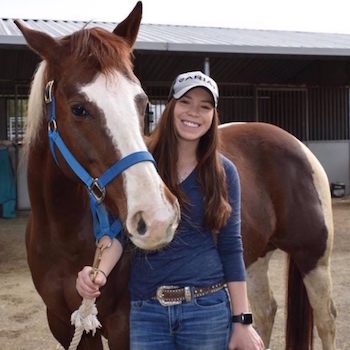 Having her dog Dexter and her horse Brandi has influenced her choice to join the veterinary field. To grow her experience in the veterinary field she attended Platt College Riverside to obtain an Associates Degree in Veterinary Technology. Hailey is planning on taking the VTNE to become a Licensed Registered Veterinary Technician in 2019. After recently graduating in March 2019, she is excited to join the TVAH family and grow her skills as a Veterinary Technician. 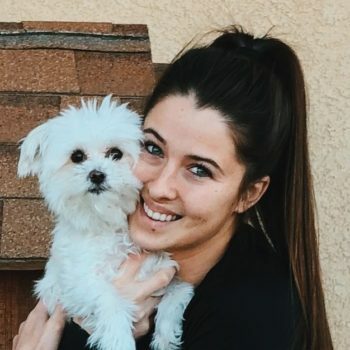 Chloe recently graduated Veterinary Assistant School in August of 2018 and her final externship was at TVAH. 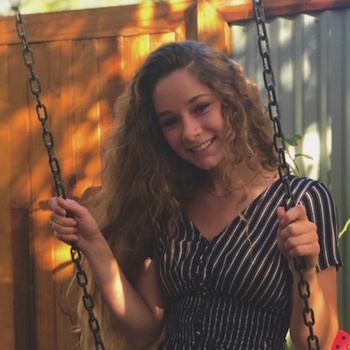 Everyone at TVAH enjoyed working with Chloe and she was asked to submit a resume and interview. It seems that her work with TVAH is far from over. She continues her adventure as a client care specialist / veterinary assistant at Temecula Valley Animal Hospital. Growing up she has always had a love and passion for helping animals and often helped foster many shelter dogs waiting to find their fur’ever homes. Chloe has 3 dogs and 1 cat of her own at home- Phoebe my Pitbull, Betty the Chihuahua mix, Jax the Husky/German Sheppard mix, and Blue! When not at TVAH, she is either serving at a local restaurant, at the gym or spending time with her boyfriend, friends, and family.